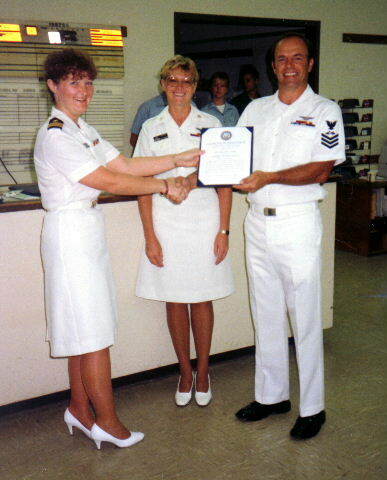 When Diane Diekman became an aviation maintenance officer (a “greenshirt”) in the U.S. Navy in 1978, her challenges included proving herself professionally before gaining the acceptance and respect routinely granted to men. 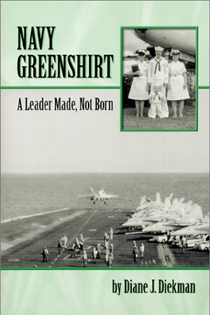 Navy Greenshirt: A Leader Made, Not Born is the story of a female pioneer who struggled and succeeded in the male-dominated world of naval aviation. The commanding officer of her first squadron fired her when she failed his hidden test to assert herself as a leader. That painful lesson strengthened the timid South Dakota farm girl and helped define her future leadership style. Navy Greenshirt, which offers hope to men and women not born to lead, describes the experiences that molded Diekman into a successful leader.